A simple and tasty canapé to impress at a party. Chop all the cherry tomatoes in half and gouge out the centres using a 1/2tsp measurer. Keep the centres, they make a great tomato pasta sauce. Grate the feta on the small side of the grater. Chop or grate the garlic and chives as small as possible, add to the feta. Mix it all together in a bowl, season with black pepper and add in the olive oil, mix thoroughly. 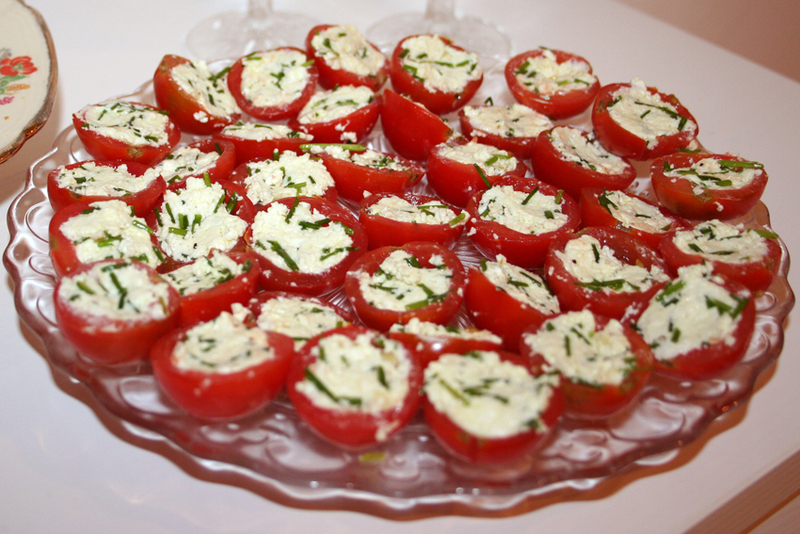 Use the 1/2tsp measurer to spoon the cheese mixture into the cherry tomato cases. Serve alongside some crackers as canapé.